A few weeks ago, Matt & I went out with two of our very great friends Greg & Katee. They brought us to a restaurant called Iron Hill Brewery & Restaurant in West Chester, PA. The food was great but the stand out item for me was the peach iced tea. 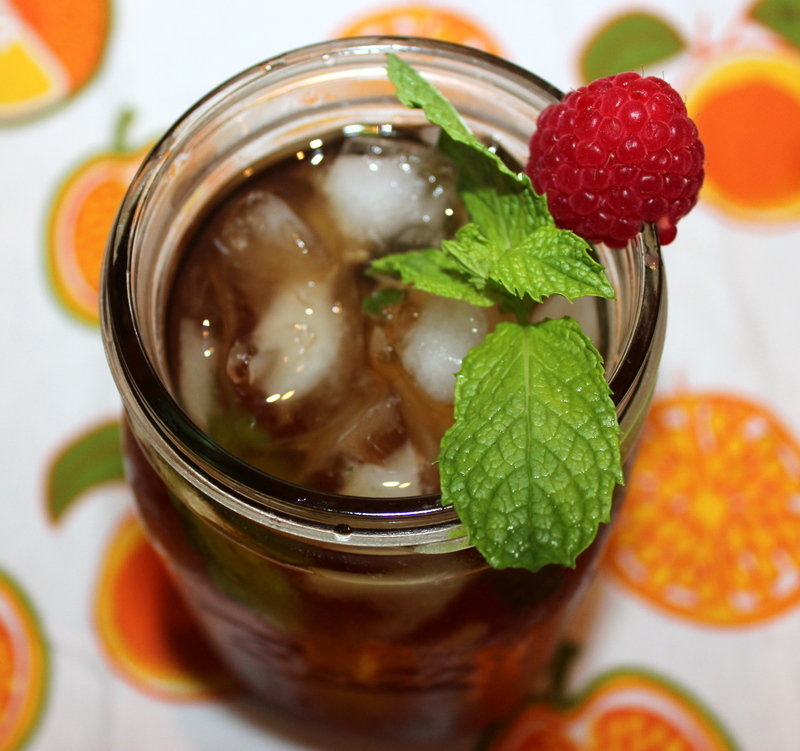 I never used to like iced tea–but my very midwestern husband has converted me to a sweet tea sipping fanatic. Ever since Matt & I tasted the peach tea we have been obsessed with the stuff–seriously, drinking it by the gallons. I have since been working on a recipe and I think I’ve done it! It’s super easy too and stores well in the fridge for a few days…that is, if it even lasts that long.